ez Write Handwriting Program helps students bridge writing to reading andworks for students who learn easily and those who have difficulty learning. ez Write has a strong home/school connection. 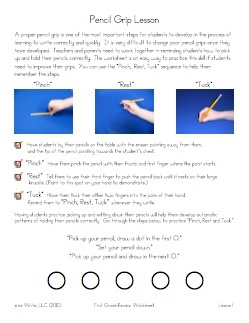 ez Write uses the “Pinch, Rest,Tuck” method to help student learn to hold their pencils with a functional grip. Kindergarten Students learn the 8 Beginning Strokes to ‘Muscle Memory” by tracing the large wall posters. Handwriting is a perceptual motor skill. Like riding a bike, handwriting is learned in part by practicing sequences of body movements until they are locked into “Muscle Memory.” By tracing the large posters students are crossing their midline which helps them connect the hemispheres of their brain. Do not be tempted to shorten the time it takes to learn the 8 Beginning Strokes! The pilot program teachers felt the program started very slowly, but realized how important it is for the students to learn the strokes to “Muscle Memory.” They even said they spent more time on the 8 Beginning Strokes the following year. 101 lessons for the school year works well for an all day/every day kindergarten program and allows the freedom to set the schedule with some flexibility. Every other day kindergarten teachers may only see students 80 days the whole school year. 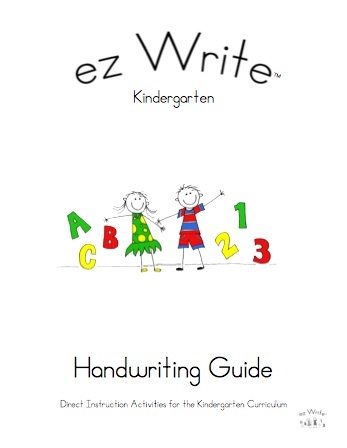 So here are some suggestions for adapting the ez Write Handwriting Program to fit your needs. • Make handwriting a priority and do a lesson everyday. You will see the rewards across the curriculum. • Teach the 20 Number Lessons during math time. 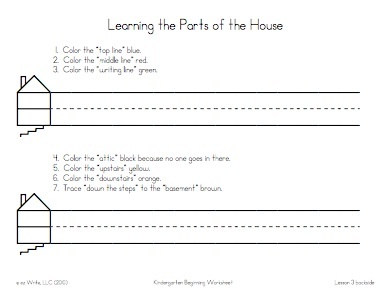 • Present program as written until you get to the uppercase worksheets and then double up on the uppercase worksheets at the end of the school year. 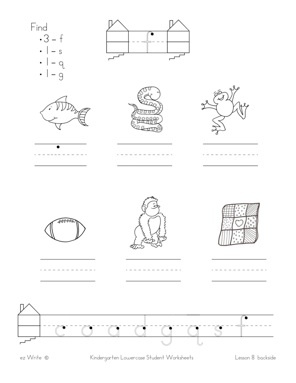 14 Beginning Stroke Lessons: Students trace the 8 Beginning Stroke Wall Posters as they do the stroke worksheets, learning the strokes to “Muscle Memory.” All letters and numbers are formed with these 8 Strokes. ✓ Students trace the letter as they repeat the letter formation instructions. 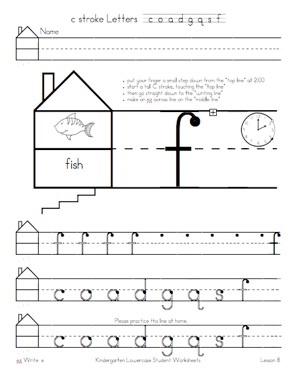 ✓ Students whisper the letter sound – to help code the letter to memory. ✓ Students self evaluate their work by circling the best written letter. 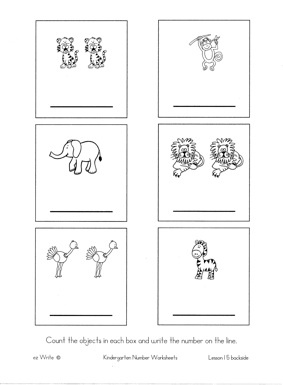 ✓ Students apply the letter sound connection on the backside of the worksheets. 32 Lowercase Lessons: The lowercase letters are presented one letter at a time in the Stroke Group they begin with. (Ex: c o a d g q s f) This helps reduce reversals. Students apply the letter sound connection on the backside of the worksheet. Students are not just learning how to write a letter in isolation, but are applying the letter sound to help students learn how to read and write words. 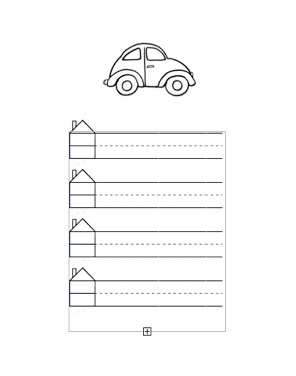 ✓ Students apply the numbers learned on the backside of their worksheets to develop one to one correspondence. 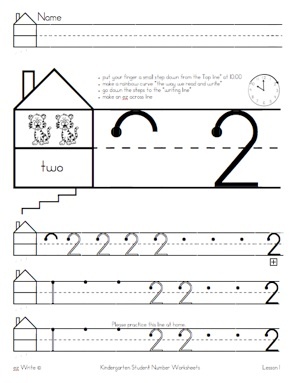 20 Number Lessons: Numbers 1 – 20 are taught with an activity on the backside of the worksheet to work on one to one correspondence. 31 Uppercase Lessons: The lowercase letters are reviewed along with the uppercase. 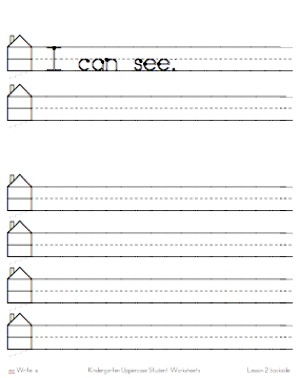 On the backside of the uppercase worksheets the students begin to learn sentence structure as they write short sentences and work on rhyming word families. The objective of ez Write was to design a handwriting program that is not only easy to use, but also effective and affordable. With the ez Write program teachers receive the worksheets on their Teacher Resource CD which eliminates the need to purchase costly workbooks each year. 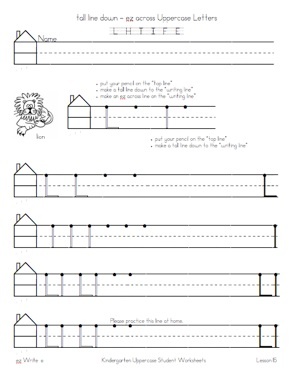 The student’s worksheets go home to help build a strong Home/School connection as caregivers are encouraged to help their students at home. Doing ez Write activities in Physical Education class.